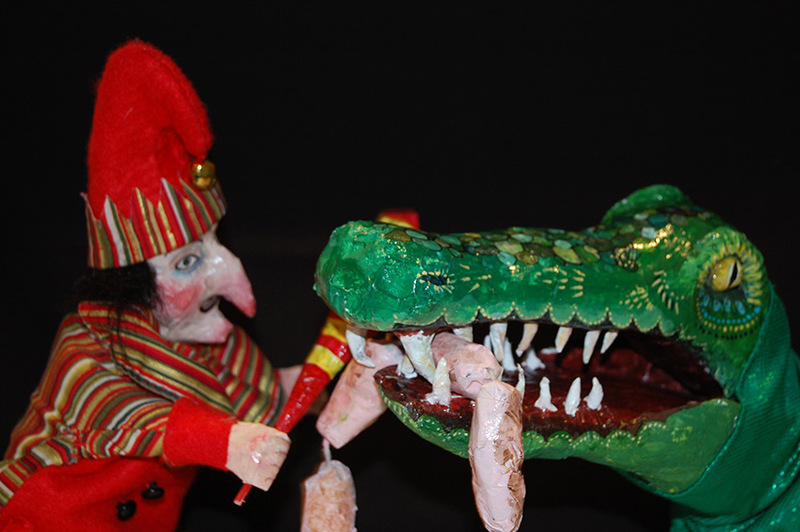 The Pack of Wolves have been invited to show a recording of their Punch and Judy performance from “Once Upon Again…” at Kalopsia’s new exhibition “Con-Textiles-Isation” in their Edinburgh gallery space. The exhibition will explore the intersection between performance art and textiles. Performance and Textiles are two strands of artistic practice that rarely meet, yet here they become entwined in a manner that seeks not only to return textiles to its rightful place in the orbit of contemporary art, but also to showcase the conceptual and communicational potential of the medium. Works by a selection of international artists will be on display and will include performance pieces interwoven with the use of classic textile techniques and textile pieces that engage both physically and conceptually with performance. There will also be live performances at the opening on the evening of the 8 August 2014. I performed Punch and Judy with Layla Holzer at Milkwood Gallery last year as a part of the Pack of Wolves’ “Once Upon Again…” exhibition. The puppets were all handmade by the both of us and the voices for the performance were recorded by Amelia Johnstone and Peter Hathaway. 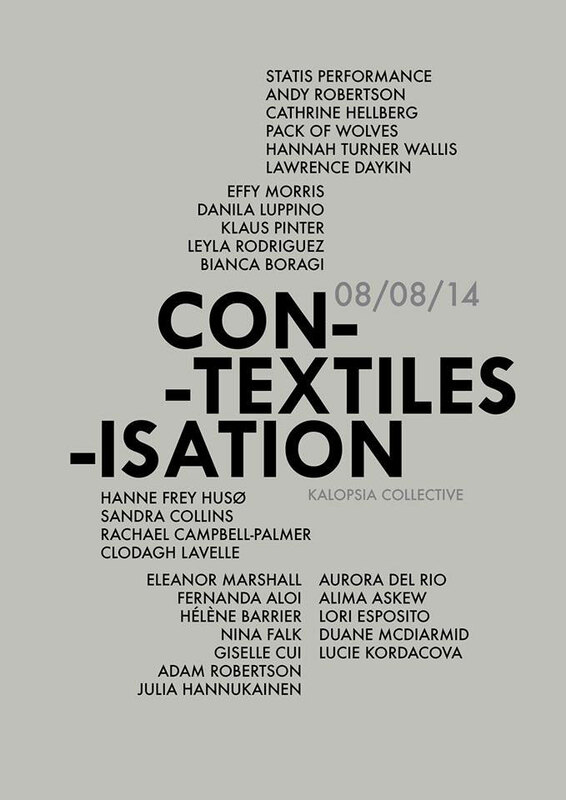 “Con-Textiles-Isation” is open at Kalopsia’s gallery in Leith, Edinburgh until the 31 August 2014.